Sure, he’s lean and handsome, he has that wide disarming smile, his hair lays boyishly across his forehead, charm, charisma, youth (America’s golden obsession), and most of all he’s from Texas……he’s a great example for young Americans everywhere…..
He’s also been arrested for burglary and DWI, the latter of which he was prevented from fleeing the scene (after sending another vehicle sprawling into a interstate median) by a good Samaritan who has more character and class than this pretty-boy, would-be president. But hey, what about that damn smile though? 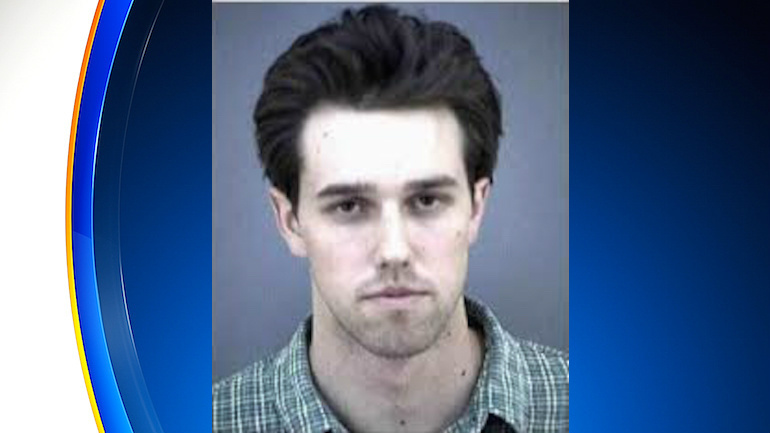 If he wasn’t already setting a shining example, there’s also rumors of his mother’s tax evasion, a neat little condom filled with cocaine found in his father’s car which was destroyed on the order of a local sheriff’s captain, who later claimed he “figured the drugs were planted by O’Rourke’s political enemies.” And last but not least…..burglary, DWI, all conveniently wiped from his record during the time his father was the political king of El-Paso. Hell, mom even got off with a fine for “transactions to avoid reporting requirements”–a form of financial fraud that would land any accountant or CPA not in the pockets of law enforcement in prison. The shadow hand appears to run deep in ol’ Beto’s genes.